Exercise, painting, good breakfast, meditation, prayer, sketching, practice a skill you want to acquire, work on a project that’s always being pushed back, playing with kids, studying, etc. Where can you save time, outsource, partner up, etc. Do things that put you in a good frame of mind – what you’re grateful for, appreciation e-mail, etc. A very quick and good read. 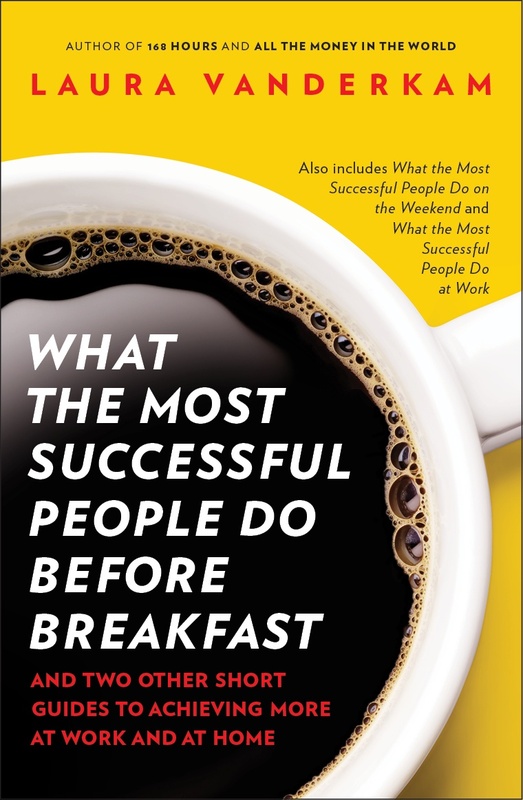 Vanderkam details how and why to make mornings the most productive part of your day. Habitualize good routines as much as possible! This entry was posted in Books and tagged Habits, Laura Vanderkam, Productivity on March 11, 2015 by Blas.